NHS England » How can your pharmacist help you? How can your pharmacist help you? Pharmacists are experts in medicines, and train for five years before they are qualified, but how much do we really know about what they do? For instance, did you know that, 3,300 of the 43,000 pharmacists in England are now able to prescribe medicines? For the first time this week, a pharmacist prescriber, Helen Kilminster, who works in a GP surgery, has been curating the @NHS Twitter account, and talking about her job – but what about other pharmacists? Pharmacists in GP surgeries see patients who need help with their medicines. They treat people with long term conditions such as asthma or those taking multiple medicines, often prescribing and monitoring the effect of their medicines. You’re most likely to meet a pharmacist in a community pharmacy, or chemist. This is because around 70 per cent of pharmacists work in the community caring for the 1.2 million people in England who visit a community pharmacy each day for health reasons. They check people’s prescriptions to make sure they are clinically appropriate, and work with their colleagues to dispense medicines safely and accurately to patients. They also provide health advice and if you’re starting a new medicine make sure you know how to take it. They might also offer other NHS services such as smoking cessation, blood pressure tests, weight management and flu vaccination. Pharmacists work as part of a team of professionals on hospital wards, offering advice and support on medicines to doctors. They identify the medicines patients were taking before admission to hospital and make sure they are still appropriate. They clinically check prescriptions and support nursing staff with how to give medication. There are also highly specialist roles for pharmacists in treating serious illnesses such as cancer and diabetes. Many hospital pharmacists are also able to prescribe medicines in the same way as doctors. There are many pharmacists working in specialist outpatient clinics to improve outcomes from medicines. For instance, warfarin clinics ensuring patients receive the right dose of their warfarin; cancer clinics, helping patients to manage side effects of their treatment; and diabetes clinics – starting and stopping treatment to improve blood sugar control and reduce complications from diabetes. Many care home residents are taking as many as seven or eight medicines and they benefit from expert checks and reviews of their medicines to help improve their quality of life. Pharmacists see patients in urgent care/out-of-hours centres or respond to calls to NHS 111. They provide patients with access to medicines in emergency situations, answer medicines related queries and support with common ailments. There are also pharmacists working in casualty, or A&E, departments, assessing patients and providing treatment, many whom are also prescribers. Prison pharmacists are responsible for the use of medicines across the prison, and may be running asthma and smoking cessation clinics. Pharmacists are involved at every stage of the making of medicines, as required by law; including the research and development of new medicines and checking and approving the quality of every batch of medicines before it is released to the market. Pharmacists contribute to the analysis of clinical trial data and writing the application for a drug to be marketed. Pharmacy professionals have extensive knowledge in medicines and how they work in the body. As well as teaching other pharmacy professionals at university, they support continued professional development. They teach other healthcare professionals such as doctors and nurses about medicines and their use, and get involved in pharmacy research activities. Pharmacists working in the Armed Forces may operate pharmacies in barracks or be on service in a field hospital in a battle zone. These pharmacists will undertake military training and will be an officer ranking. They are responsible for ordering and maintaining hospital supplies and will treat not only British troops but the local population. Military pharmacists are trained in advanced resuscitation and complicated techniques that may be required in an emergency situation. 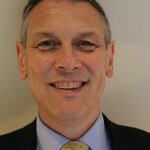 Dr Bruce Warner works closely with the Chief Pharmaceutical Officer on the strategic and operational development of medicines policy for NHS England. Prior to this post, Bruce worked as Deputy Director of Patient Safety at the NPSA and in NHS England where he led on the strategy for patient safety improvement and headed up the patient safety advice and guidance function. Bruce has worked in most sectors of pharmacy including community, hospital, academia and at a PCG/T. He is also a visiting Professor of Pharmacy Practice at the University of Huddersfield. I take a bioglan probiotic capsule, will this have an adverse effect on my anastrole? Thank you for posting this comment. Unfortunately we cannot answer specific medical queries via our website comment section. Please contact and speak to your local pharmacist or GP about your query. Hi Bruce. Do community pharmacies offer point-of-care testing? If so, which tests? And how are they remunerated? Great account on the differing roles of Pharmacists. Pharmacy Technicians also carry out many roles within these areas in addition to Pharmacists. Great synopsis of the multitude of settings where pharmacists can be found and the excellent work they do/offer.